Does Your Team Need Sales Operation? Can you relate to any of the following points? You have a great product or service, but you’re not making the sales you should be. You have a CRM, but you’re not getting the data you want. You have a fantastic sales team, but there’s no coherent process. Sound familiar? The problem isn’t your product or service, the CRM you chose, or the people on your sales team. The problem is that you need to dedicate time to creating a sales process for your product or service, analyzing your CRM, and training your sales team (not to mention keeping them motivated). You don’t have the time to do this yourself, but it’s absolutely necessary for a successful and profitable business. Enter Sales Operations – activities and processes that are set in place to assist a sales organization to run effectively and efficiently. 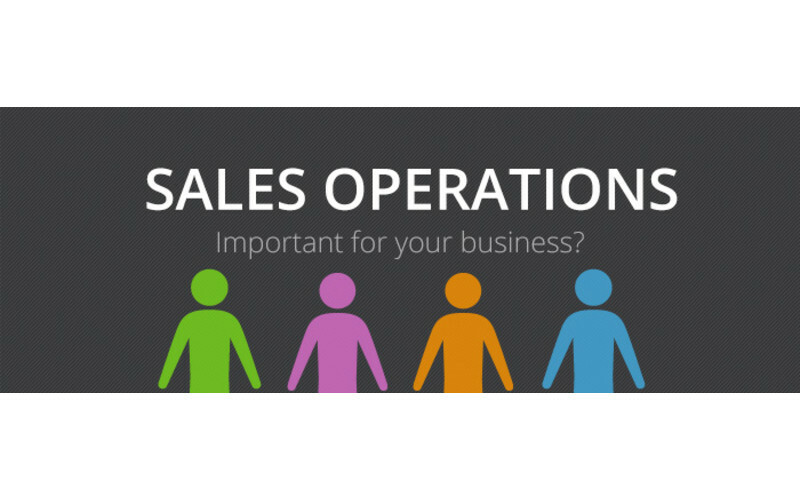 Questioning whether you need Sales Operations in your business? Below are four key reasons why you do. Teams are most effective when a strategy is in place. Without a strategy, how do you know if the team is working efficiently? Are things are getting done in the right order? That’s why it’s key to have a Sales Operations position(s) as part of your team. It’s their job to gather data, conduct analyses of sales and profits, and ensure that each member of the team is working towards the company goal. Look at it this way – is it common for your company to set goals in the beginning of a quarter only to get completely off track within the first month? Probably. It’s understandable – focus shifts to everyday tasks and putting out fires. Soon enough, overarching goals have been put to the backburner. Not when you have Sales Operations in place! It’s in their job description to realign the team when things get off course. With their constant forecasting, evaluating and reporting, it’s easy for them to see what needs to change. Is the current sales method effective? Are employee incentives fair? Customers satisfied? All questions someone dedicated to Sales Operations will consider and address. Your employees are at the heart of your business. They’re the ones running the day to day operations to keep your business afloat. Research shows that happy and motivated employees are 12% more productive. What’s one of the biggest motivators to your employees? Employees perform best when compensation and incentives are fair. Reason #2 why your company needs Sales Operations. It’s part of their job to oversee compensation and incentives for the sales team. They will evaluate what’s currently working and what needs to change. Are incentives fair? Who deserves a part of the commission? From those doing the research to those making the sales, a person(s) dedicated to Sales Operations will analyze each person’s payout leaving you with a happy, motivated, and productive team. Money is not the only factor in a productive team. A set sales process is key to any successful team – it establishes everything from lead generation, marketing, and closing specifics. A system will quickly help to boost sales. One of the first things a person in a Sales Operations position will do is take a look at the current process (or lack thereof) and figure out how things can run better. Employees bring different skills to the table, and this person will be able to determine who should be working on each part of the process. Who’s doing the research? Presenting? Closing? Figuring out each part of the puzzle will help to bring more leads from cold to close. Once there is a process, employees will need ongoing training for best results. This is another task that Sales Operations can handle. Constantly working behind the scenes and analyzing data, they know what changes to make and when. They can ensure that pitches align with company benefits and the correct steps to take after each presentation. Maybe you currently manage the data in your company. Or maybe you’ve asked one of your sales representatives to take on that responsibility, along with their other tasks. That’s not good enough. Your data is so essential to the success of your business, that you need someone dedicated to reviewing it thoroughly and as much as possible – someone who will analyze the data and create strategies and processes based on what they find. A Sales Operations person or team will manage all sales data and systems, including CRMs. Without proper oversight, your CRM has the potential to become a mess. Rules may be place, but are they explicit? Is your team following them? A person(s) dedicated to Sales Operations will determine what data to record and how. From there, they will put rules in place and teach employees how to enter data. It’s also their job to continue evaluating that data, draw conclusions, and set up new strategies to help the company. Thinking you should have hired someone (or multiple people) for Sales Operations months ago? You’re not alone. We hope this article helped you to realize that Sales Operations is essential to your business and can help take your sales team to the next level.